Pay per head master agents should take their sportsbooks offshore. There are several reasons why this is the case. Below, are 5 of the most important reasons. The adage particularly makes sense in the sports betting industry. Time is definitely money if you’re an agent. If you’re a master agent, time is more money to you. Master agents oversee every aspect of their businesses. This includes overseeing subagents. Trying to oversee subagents in person can be a time/money waster. Agents must realize that working with an offshore pay per head company prevents time/money loss. If you’re working with excel, you’re wasting time/money. Most agents aren’t experts with excel. It’s not the easiest program to learn. Unless you do it every day, there are many things agents will never learn. Reports from a reputable offshore pay per head company makes excel sheets obsolete. Some per head companies provide varying reports. That’s the bare minimum successful master agents need. What are an agent’s monthly expenses? How much time did it take the agent to satisfy a customer’s need? How much time did it take the master agent to go through the excel sheets for each one of her sub-agents? Signing up with an offshore pay per head company allows agents to forecast their monthly expenses. Forecasting allows master agents to prepare for the future. Agents won’t know what to do with their extra cash, via cash flow, if they can’t forecast expenses. Per head tools allow master agents to effectively manage their sub-agents. One of the most important aspects of managing sub-agents is to look at the master sheet. A good online bookie agent master sheet shows sub-agent balances. It also shows agent balances. Collating information yourself can lead to time/money wasted. Checking a great per head master sheet allows agents to quickly see which sub-agents are underperforming. Working with a pay per head partner leads to greater overall efficiency. Efficiency is the name of the game when running any business. At the end of the day, online bookies are sales people. Their goal is to find clients. Their secondary goal is to keep clients happy. Happy clients in the sports betting industry bet more. Master agents should leave the technical aspects of their business, the excel sheet stuff, to the experts at a great per head company. That gives master agents more time to find the right sub-agents, and to take care of their best clients. Tools provided by excellent pay per head companies allow for overall efficient business management. 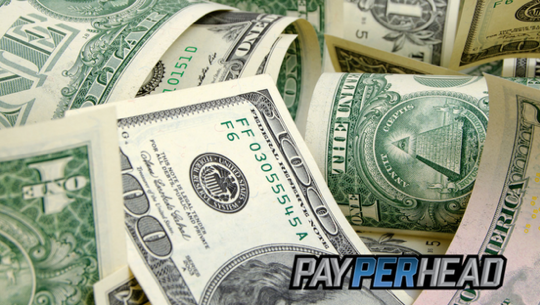 PayPerHead.com offers all these must-haves and more. And, online bookies looking to upgrade to master agent status can take advantage of their Prime Package deal happening now. Get the industry-leading sportsbook management software for half the price. All the great features, tools, and reports an agent needs to become a master agents, and to stop wasting money.